York is the world's leading independent maker of heating and air conditioning equipment. 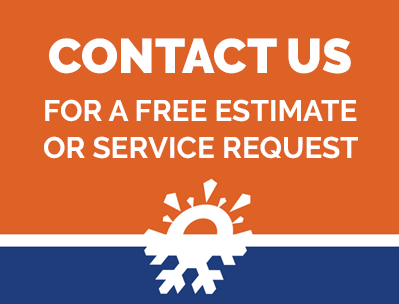 When it's time to get comfortable, it's a good time to install a new, high-efficiency York furnace. 80% efficient, single stage and modulating furnaces. 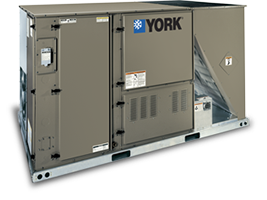 York offers a complete line of innovative, attractive, and energy efficient central air conditioning systems for homes and businesses. With a sleek, contemporary look, the Affinity™ Series is the only system on the market that gives you the choice of seven exterior colors, plus the latest technology on the inside. Seer ratings into the 30+ range. Split-zoning for precise temperature control and greater efficiency throughout a home or business. Sleek indoor units blend into any room. Ducted air handlers and ceiling mounted units are available now. We offer a complete line of cast iron and high efficient hot water boilers to heat any home or business. 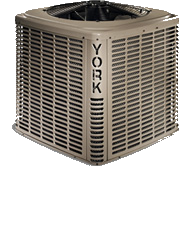 York is the answer when a project calls for quality, high-efficiency commercial heating and cooling. York equipment uses the latest technology to provide durability, efficiency, easy installation, and trouble-free operation—it's all packed into these compact units. High efficient boilers, coupled with in-floor radiant tubing, provide extraordinary comfort in the heating season. 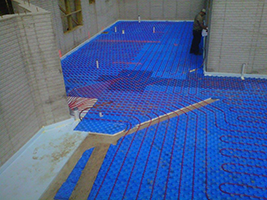 In-floor radiant piping loops are installed on top of an insulation barrier and concrete is then poured over them. These loops will heat, which in turn heats the concrete floors, creating a warm floor in basements, garages, slab homes and, commercial buildings. They can also be used to melt snow on driveways and sidewalks. In-floor radiant loops can also be easily zoned to provide separate operation for each room. Kale Company has partnered with York and Honeywell Corporation to provide the most advanced controls and indoor air quality products available. 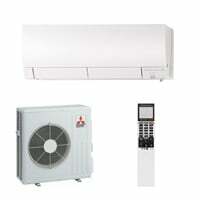 Coleman is best known for their line of heating and air conditioning products. These systems are specifically designed for mobile homes. Standard codes prohibit the installation of regular residential heating equipment to be installed in mobile homes. Kale Company has trained and experienced technicians to handle any mobile home installation. Kale Company offers a wide selection of kitchen hoods and custom-built hoods, as well as exhaust ventilators and make-up air units. Kale Company also provides custom-built Type I and Type II hoods and has specialty-trained technicians in the installation of kitchen exhaust and make-up air systems. Top of the line industrial/commercial and residential, ventilation products can handle any small, medium, or large scale air moving requirement. Kale Company is equipped to handle all your air moving projects. Kale Company works with many industry leaders such as Space Ray, Enerco, and Reznor in providing quality infrared heat for commercial and residential outbuildings, outdoor Bar/ restaurant areas, shops, large garages, warehouse storage buildings, and manufacturing plants. These systems provide radiant heat to the objects below, creating a very comfortable atmosphere and fuel-efficient operation. Go Green with one of our select brands of Geothermal heating and cooling systems. Kale Company offers many types of chilled water systems and air-to-air chillers. At Kale, we have the training and experience to service and install your chiller system.